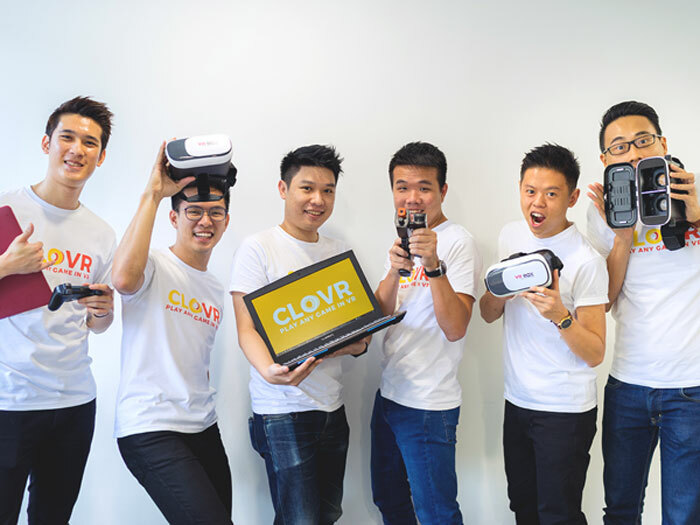 CLOVR is a Singaporean VR startup with a goal to make virtual reality available to the masses without the need for hefty hardware. CLOVR began as a passion project. We loved VR gaming and were exploring ways to make it accessible. However, VR gaming was a relatively new concept, and the sheer cost needed to purchase hardware & software made the barrier of entry too high. That’s when the idea was birthed. Why not take what people already have – a PC, a phone & their favourite PC games, and create a solution to enable VR gaming? We set out with a vision to make VR gaming accessible to everyone through an app called CLOVR. Following CLOVR’s successful Kickstarter campaign, we are excited to be bringing the rewards to our first access backers in June and early access backers in July. this is a place for you to shine! We’ll be releasing our API to content developers like you, allowing you to public original VR content on CLOVR Platform. Stay tuned with more updates!